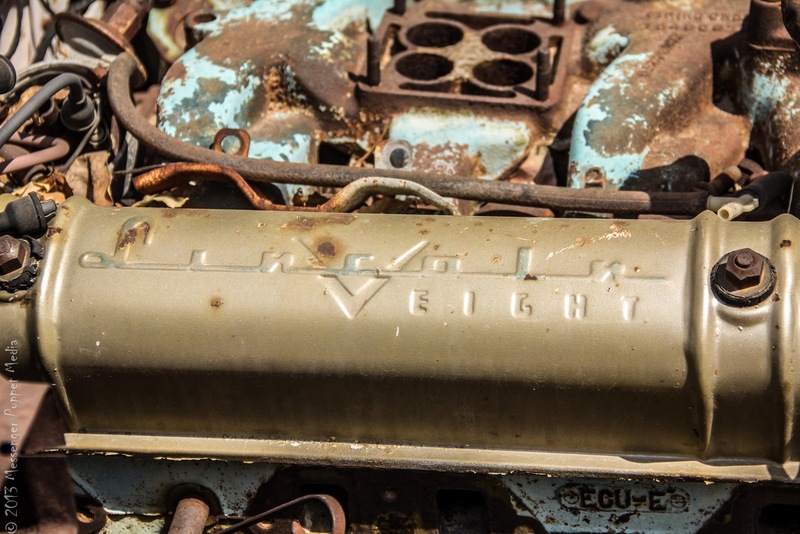 Lincoln V EIGHT, as if you did not instantly know. Stamped gold valve covers. Pastel manifold. A waste? Hardly. When your front clip is ripped away, and your 368 cubic inches are sitting out for the world to see, you do want to look your best.